This morning, Mayor Michael Nutter announced the title sponsor for Philadelphia’s bike share program. Philly Bike Share, now called Indego will be a sponsored by Independence Blue Cross. They will contribute about $1.7 million each year for the next five years as title sponsor. This is a big first step in launching the program in Spring 2015. 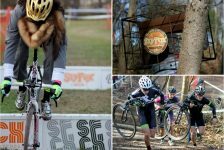 Prior to the title sponsor funds, there was an initial $3 million capital investment by the City of Philadelphia and more than $4.5 million in state, local and foundation funding to design, implement and manage the system. Mayor Nutter attempts a one-handed track stand on a new Indego bike while MOTU’s Andrew Stober, Independence Blue Cross President and CEO Daniel Hilferty, and Deputy Mayor Rina Cutler wait for a turn on the bike. This spring, Indego rolls out a fleet of 600 bicycles that will be available for anyone to use. The exciting component to this system that makes it unique is that it will not require users to have a credit card. Community outreach, engagement, and education is planned in key neighborhoods around the city to ensure broad access to the system. The bicycle sharing system developed by B-Cycle will enable anyone to check out a bicycle from 60 bicycle docking stations that will be located across the city. 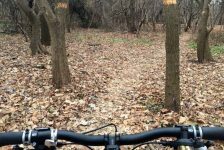 The system will be operated and marketed by Bicycle Transit Systems who will maintain the bicycles and be in charge of redistributing bicycles to docking stations. Philadelphians were asked to be part of the process of suggesting where the best locations for these docking stations would be. This resulted in an interactive map where people could pick a location and write comments. Bike share has been a long time coming for Philadelphia. 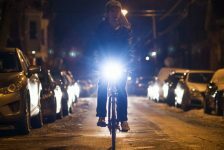 Since 2008, Russell Meddin of Bike Share Philadelphia has been the person pushing for this to happen. 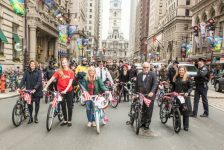 With the help of Bicycle Coalition of Greater Philadelphia, the Mayor’s Office of Transportation and Utilities (MOTU), and local politicians, Philadelphia will now join many other urban centers around the world with bike share systems. 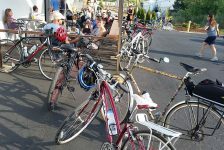 The first community bike programs of this kind emerged during the 1960s in Europe; the United States began adopting the same model in the mid 1990s on the west coast. Currently, 23 US cities have a bike share program. New York City’s Citibike is the largest with more than 330 stations, 6,000 bicycles, and riders checking out bicycles more than 34,000 times a day.